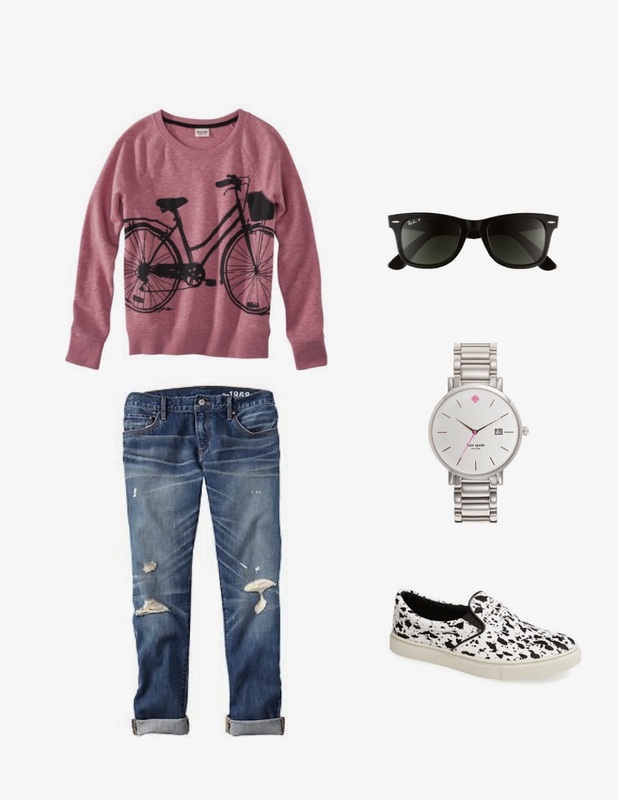 I am completely obsessed with this bicycle sweatshirt! Glam it up a bit with this faux leather skirt from H&M, or pair it with a boyfriend jean and it's a perfect transitional outfit to take you into the spring(if it ever gets here). On a side note, I'm not sure if e started the midweek must-haves was such a good idea, because I end up buying every look I put together. I guess that's the point right?